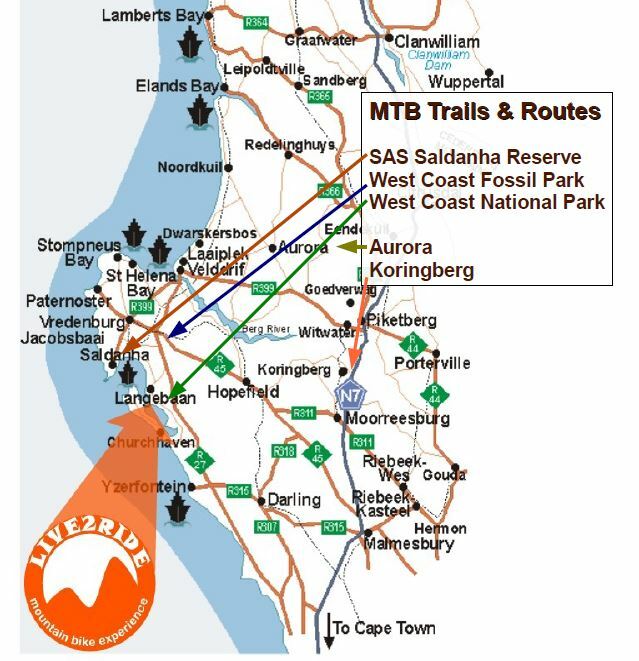 There are many MTB Trails on the Cape West Coast, beginners to experts will find a mountain bike trail to suit them. 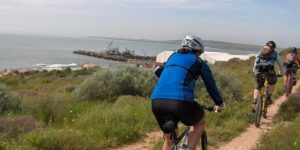 Mountain bikers have the opportunity to experience mountain biking in the Saldanha Bay area. 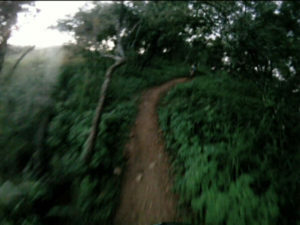 These MTB Trails are more leisurely for riders looking for a scenic, interesting and fun ride. The fitter expert riders will find other more challenging mtb trail options in the Koringberg, Piketberg, and Cederberg mountains. 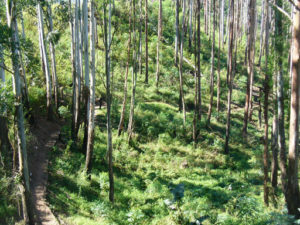 The West Coast National Park has a 13km and 17km mountain bike trail. Both routes start on the Langebaan side of the park at the Langebaan gate, with a mix of tar and jeep track with awesome views. Regular sightings of game, small animals and many birds make this a really interesting and memorable ride. The West Coast Fossil Park off the R45 between Hopefield and Vredenburg has 4 marked trails from 3km upto 10km. These trails wind their way around this historic fossil site. You can take a guided tour to learn more about the fossils and enjoy a coffee at their coffee shop and tea garden. The SAS nature reserve in the Military base at Saldanha has marked walking routes that are all ride able. Access the nature reserve via the military base main gate, it is open to public, at the end of the base. The trails offer unique views of Saldanha Bay as they criss cross the reserve and hug the coastline. Koringberg is a little town at the start of the Piketberg. 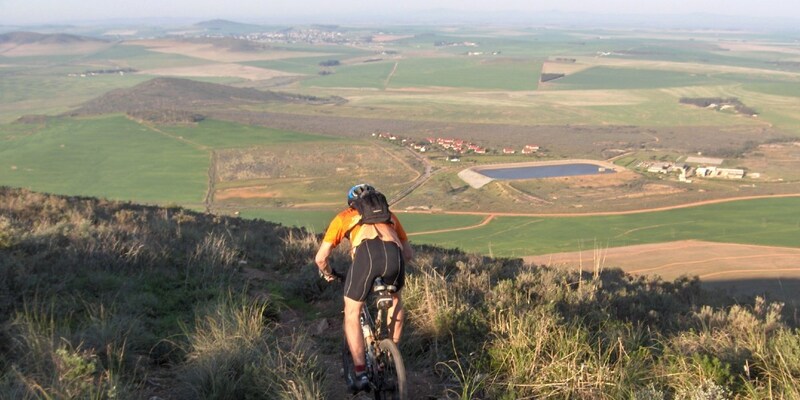 The singletrack mountain bike trail is a secret little destination that rises up from the normally flat Swartland. This mtb trail follows steep jeep track climbs and tight technical downhill singletrack. Its is guaranteed to get the heart rate pumping on the climbs and the adrenalin flowing on the descents. Aurora mountain biking trail runs from the quiet West Coast village of Aurora. Tucked away on the edge of the Piketberg mountains it climbs all the way up to Kapteinskop over 1000 meters above. This mountain bike trail is a long and steady climb. It is steep in places with spectacular growing views of the whole west coast region.